DVDFab 11.0.2.4 (x86/x64) Multilingual . DVDFab All-In-One is a versatile combo of nearly all the powerful DVDFab products - DVD Copy, DVD Ripper, Blu-ray Copy, Blu-ray Ripper, UHD Copy, Blu-ray to DVD Converter, DVD to Blu-ray Converter, DVD Creator, Blu-ray Creator, Video Converter, DVD Cinavia Removal, Blu-ray Cinavia Removal, DRM Removal for Apple, Screen Recorder & Editor for iOS, Hi-Fi Audio Converter, and File Transfer. It provides totally complete solution for all your DVD/Blu-ray/video issues and performs perfectly. 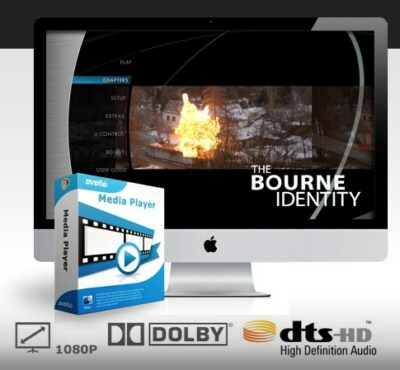 DVDFab Media Player, is the best Blu-ray media player software available in cyberspace. Its impressive playback capacity presents video lovers the world's first-level media viewing experience at home. DVDFab Media Player plays back all the video formats you have, including the HEVC (H.265), UHD (Ultra High Definition) and 4K videos, as well as DVD/Blu-ray ISO image files and folders, even unprotected 4K UHD Blu-ray ISO files and folders, with native navigation menu and HDR10 support.